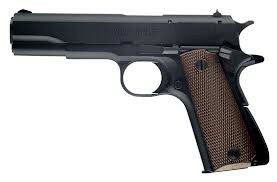 The 1911 pistol was adopted by the Army in March of 1911. It was used as the standard United States Armed Forces up to the 1970's, when it was replaced by the Berretta 92FS, which is a smaller 9mm calibre. The 1911's .45 ACP (Automatic Colt Pistol) had a much heavier round, as seen on the bottom right image. This means more stopping power, which means one shot, one kill. 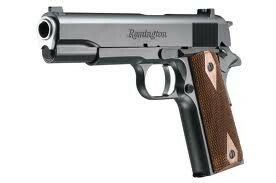 Designed by Remington. A Gun/Ammo manufacture in the United States. 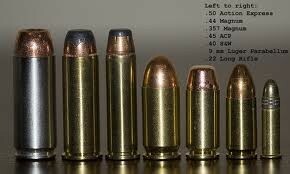 The round heavy bullet, in the middle. This iconic pistol is still used by branches of the military, and owned by many people, the legend still remains.